Mice have become an increasingly common issue for Dallas homes and businesses, especially as the temperature begins to drop as winter approaches. It’s vital to know the signs of mouse activity so that you can take action right away. Scratching or thumping from inside the walls or ceiling, foul odors, and chew marks on food containers are all signs of mice, and a sign that it’s time to call a mouse exterminator. Critter Control® always safely relocates wild animals whenever possible, but sometimes the situation calls for a different method. Mice are great at hiding in tiny places and they reproduce very quickly, often making extermination the best option to ensure the total removal of an infestation. In addition to mice removal and extermination, our technicians are able to clean up and repair any damage they may have caused so it looks like nothing ever happened. 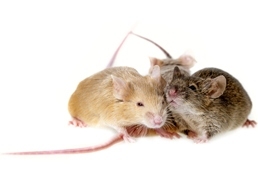 Our Eco-Wise pest management solutions are also available to help ensure your home stays mouse-free in the future. Time is of the essence when dealing with a mouse problem. Your safety and satisfaction are our number one priorities, so call our mice extermination experts today at 817-222-1101 with any questions, or to set up your free home inspection.